A fourth generation farmer, Stephen farms with his father and brother near Fort Macleod, Alberta. Their farm operation includes dry land and irrigation growing canola, malt barley, durum, spring wheat, and export timothy hay. Stephen’s family also operates a manufacturing business in Fort Macleod, called FalCan Industries. Stephen has participated in Syngenta’s Grower University 1 & 2, as well as the Cultivate program at the Richard Ivey School of Business, and has attended various trade missions throughout the world representing farmers and farm groups. 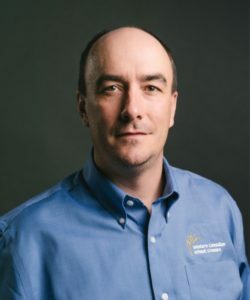 Stephen is the Past President of the Grain Growers of Canada, representing 65,000 farmers from across Canada, covering virtually all types of grains and oilseeds. Stephen is also a Director on Ag For Life and past Vice Chair of the Alberta Winter Wheat Producers Commission.